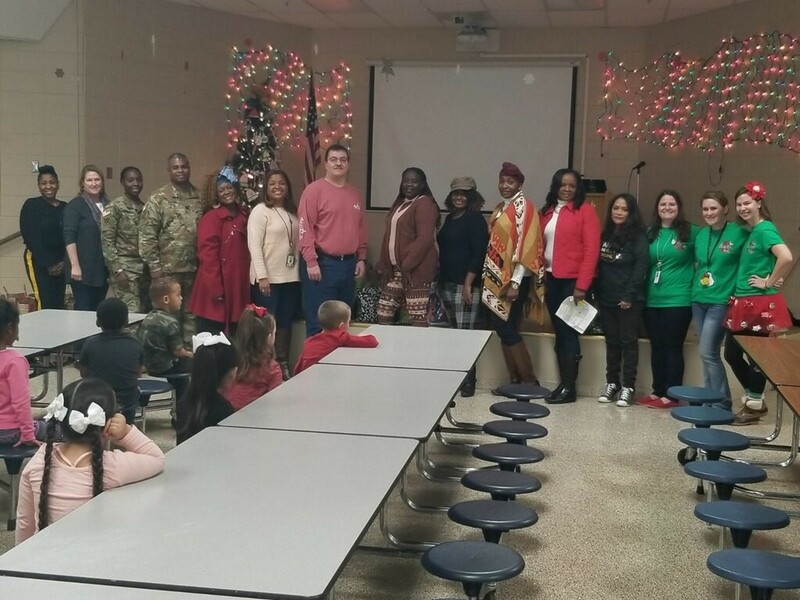 McDonnell Elementary was very blessed this holiday season. 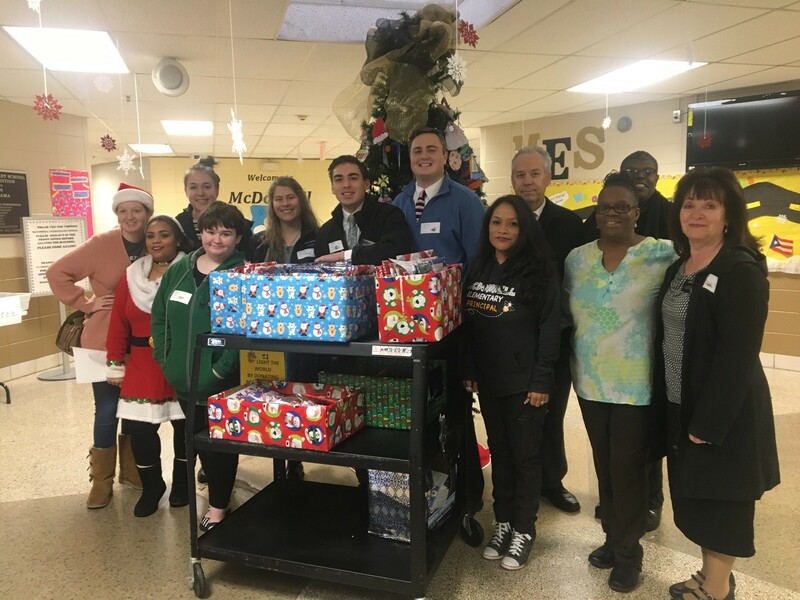 Children and family needs were assisted by many different organizations from individuals to churches to large organizations this holiday season. Many individuals donated clothes, food and toys but wished to remain anonymous. We are so thankful for all the generous gifts, support and donations we received. Butterfly Kissables donated fifty $100 gift cards to families in need to help with purchasing gifts for the holiday. This gift was greatly appreciated by the families who received them. The Church of Jesus Christ of Latter-Day Saints sponsored first and second grade students with a reading book for each student. For many of our students, this is the first new book they have received to start their own personal library. 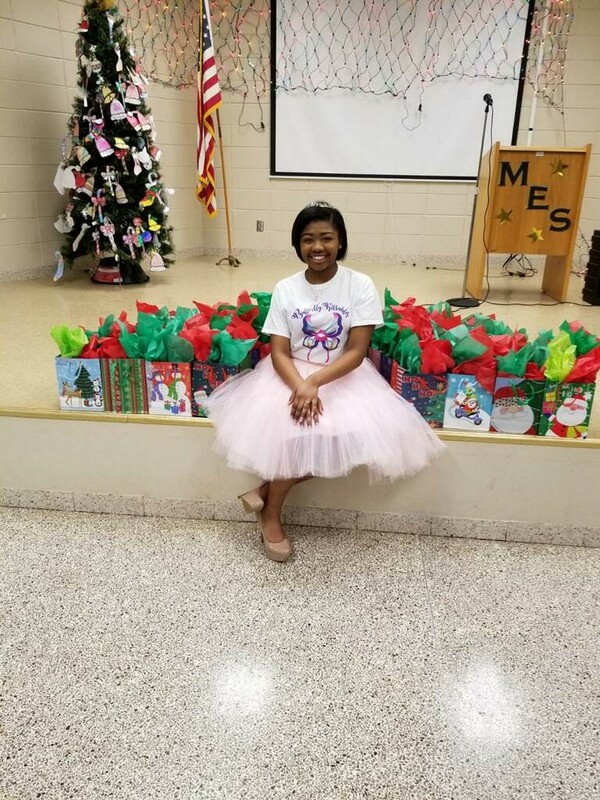 McDonnell’s PTAC sponsored “Reading in a Winter Wonderland” for all students. 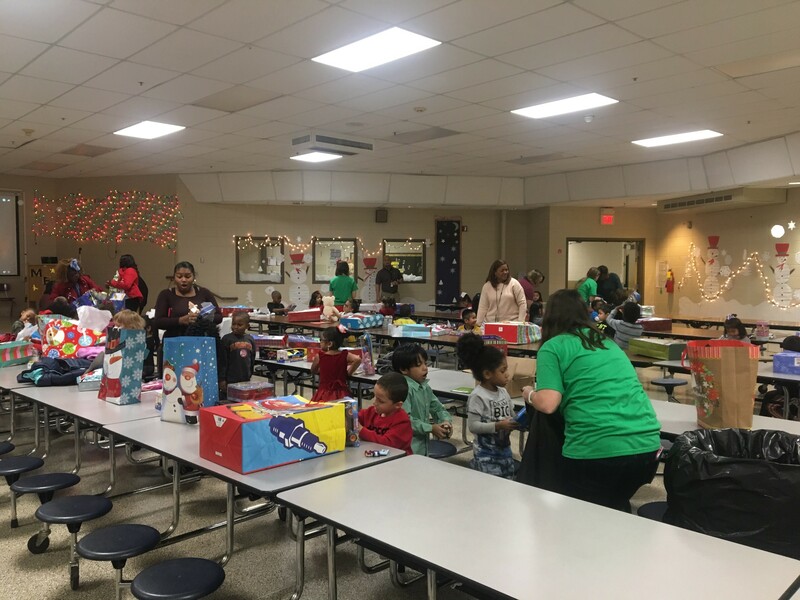 Volunteers decorated the entire lunchroom with twinkling lights, a Christmas tree and snowmen. 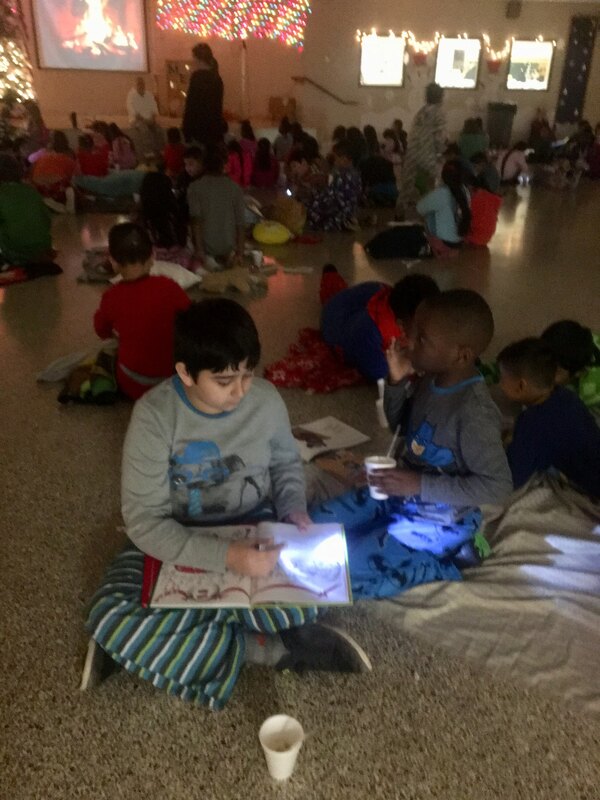 Students from each grade level wore pajamas and brought their favorite pillow and blanket and book to read. 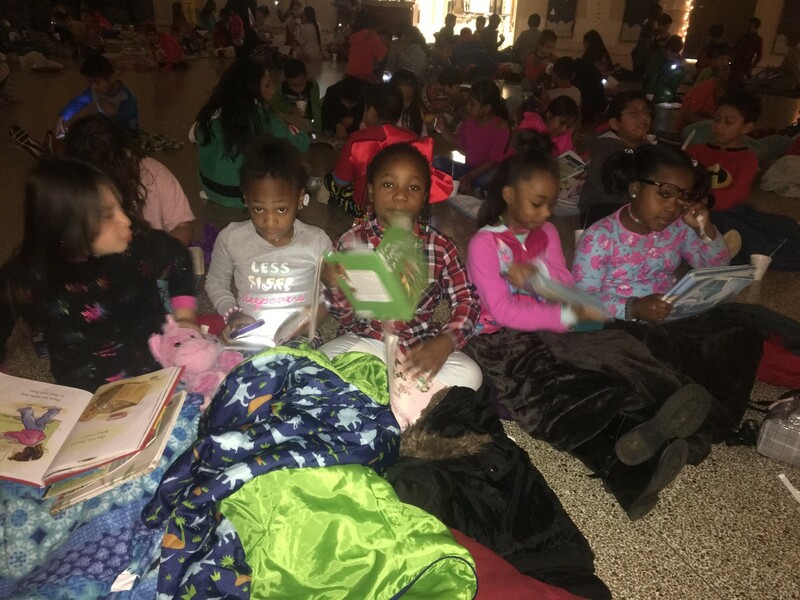 Teachers, staff and volunteers read stories and listened as students read stories by flashlight. Westview Church of Christ donated holiday meals complete with turkey and dressing for 8 families. Monrovia Church of Christ donated over 200 holiday food bags and sponsored a 4th grade class. Life's Journey Church provided a wonderful lunch for the entire faculty and staff during the last week of school. McDonnell is so thankful for all the help and love we receive each year from our community.